Transcendence (2014) is the directorial debut of Wally Pfister, the man previously responsible for the cinematography of the majority of Christopher Nolan's films from The Dark Knight to Inception. It's a big budget science fiction thriller basically operating in pre-summer blockbuster mode, and with all of these factors it was pretty highly anticipated. However, at this point it's disappointingly safe to say that the movie has flopped, making only 10% of its $100 million production budget back after the opening weekend (the primary revenue window) and less than 25% at time of publication with the movie gradually being taken out of theaters. Transcendence will not make a profit and may not even break even, and that's a problem not only for the movie itself, but for people like me who want more idea-driven science fiction. Modern Hollywood science fiction is plagued by a sort of Action Hero Syndrome. Sci-fi has become more of a way to envision fantastical laser fights than a way to explore new ideas. It's turning into science fiction without the science. Obviously this tension has always existed within the genre to some extent with the 80's also being a great time for sci-fi action movies, and perhaps it's the very specter of that decade we still struggle with today. In any case, the source of the problem is no mystery: the reason studios keep giving big budgets to sci-fi action movies is because they do well at the box office. Let's look at last year's top two highest grossing films domestically: The Hunger Games: Catching Fire and Iron Man 3. Both are sci-fi movies with big action overtones. As much as I love to see Catching Fire at number one, its success undeniably relies on the public's awareness that if they go see it they'll get to see Jennifer Lawrence do some fighting. Just look at how they're advertised: posters and trailers all focus on Katniss's talents with a bow. Both movies are also part of established franchises. It's really cool that Marvel is putting so much effort into creating a rich expanded universe for its characters (and it's impossible to argue with Robert Downey Jr's infinite charisma), but these movies sell tickets because they are safe and predictable entertainment. Transcendence is neither of these things. It's an original story driven by an idea, two characteristics which sadly don't pull audiences into theaters. It's about the birth of the technological singularity, the point when artificial intelligence surpasses human intelligence. The plot plays out two separate conflicts: on the one hand, the struggle of a woman whose dying husband turns his consciousness into an AI (basically the reverse of last year's Her); and on the other, the efforts made by a radical terrorist group to control the rampant overgrowth of technology (sort of like Twelve Monkeys without the time travel). If all this sounds good to you I'd really encourage you to go see the movie in theaters before it's too late because it really is beautiful on the big screen. Unfortunately the problem's not quote as simple as an incongruity of genre appetites. While the current state of theater attendance can be assigned a large portion of the blame, Transcendence itself is far from perfect. It suffers perhaps most cripplingly from a lack of character development, giving uncertain audiences no easy way to latch on to the events on screen. It was also advertised as a Johnny Depp flick while most of the drama revolves instead about Rebecca Hall's character. On top of this, the story is on the slow side, allowing skeptical audiences too much of an opportunity to check out early. But the movie is interesting, and for me that's much more important than how much I believe in any of the characters or the story or any of that. Artificial intelligence and the omnipresence of technology are issues of great importance today, and the way they're played out with the development of nanotechnology is probably as close as I'll ever get to seeing Michael Crichton's amazing Prey on film. 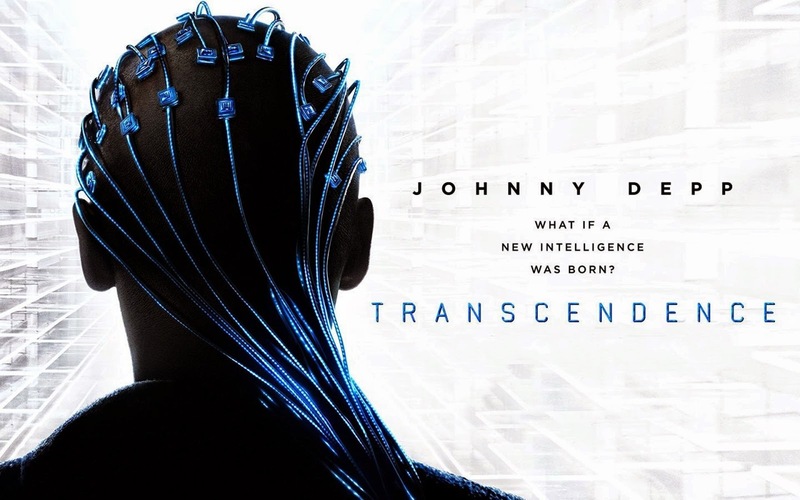 Perhaps unsurprisingly given Pfister's résumé, Transcendence is also very nice to look at. 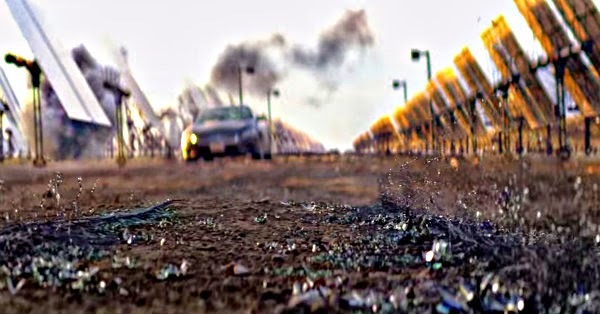 The film uses a very vibrant and natural blue and green palette in the beginning which is offset by the barren brown and austere white of the later desert and laboratory scenes accented with deep and menacing shadows. Pfister, a vocal proponent of 35mm rather than digital, showcases to great effect the medium's enhanced richness, depth, and contrast of color, some of film's natural advantages over video. Transcendence is far from a perfect film, but it represents a style of cinema that I want to be part of, a cinema where ideas and imagery reign over action. As much as its failure is a disappointment, hopefully it represents a growing openness to finance more high concept sci-fi in the future. Because Transcendence is the hero we deserve, even if it's not the one we need right now.